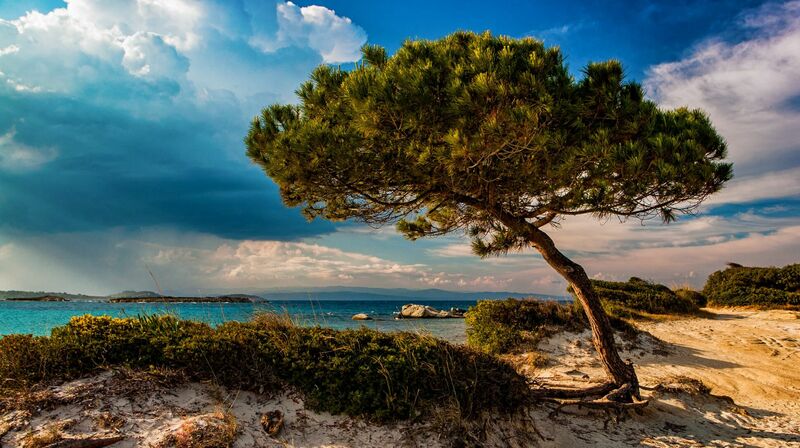 Halkidiki is a well-known peninsula in Greece, situated in the central part of the biggest region – Aegean Macedonia. It borders Thessaloniki region to the north, and the Aegean Sea to the south, east and west. 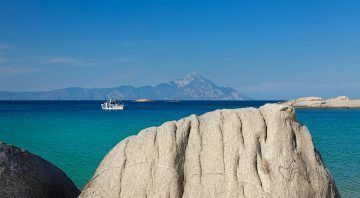 It has a coastline of 500 km and consists of 3 smaller peninsulas (“fingers”): Kassandra, Sithonia and Athos (or the Holy Mountain – independent administrative district). Kassandra is perfect for those who like nice beaches and good night life. 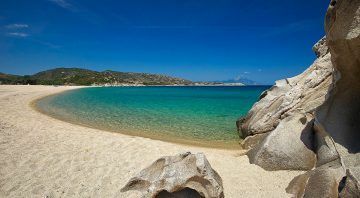 Sithonia is a right choice for those who prefer nature, peace and secluded beaches. The most eastern finger belongs to the monastic community Athos, or the Holy Mountain. 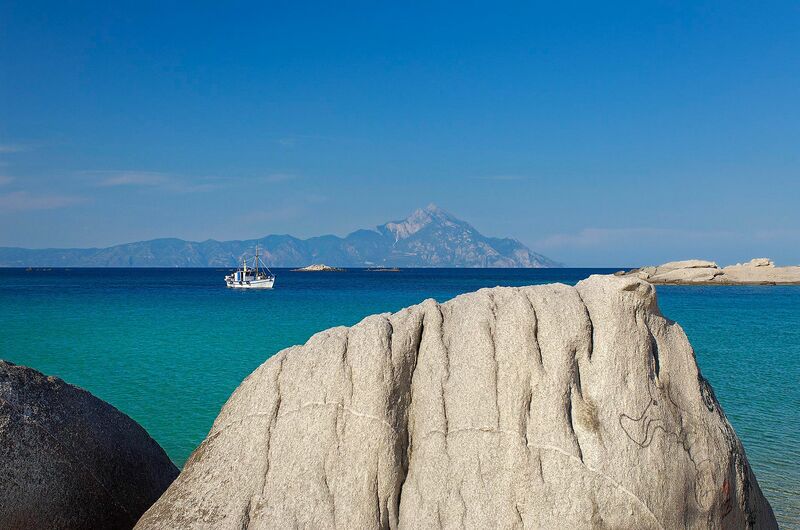 The capital of Halkidiki is Poligiros, a modern city where an interesting archaeological museum is located. 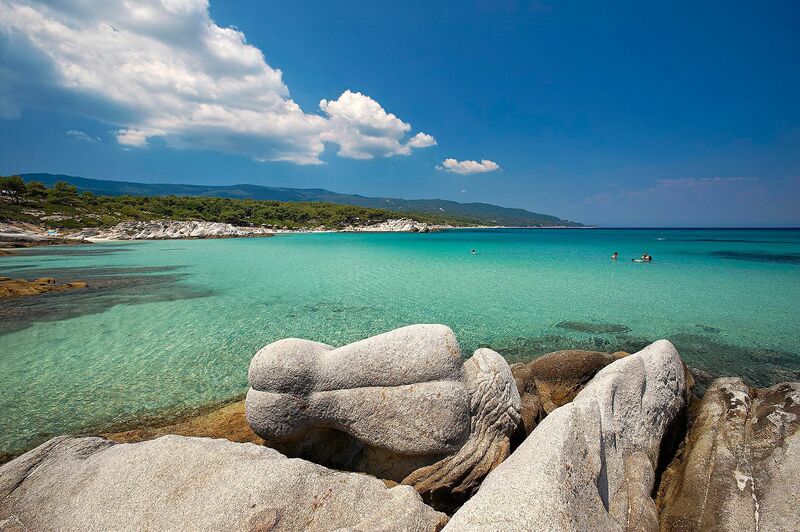 A legend says that Halkidiki got its name when Tracian giants Sithon and Athon could not agree on which of them should get a mermaid Pelini. That caused the anger of Poseidon, the God of the Sea, who darted his trident at the peninsula and split it into three parts. 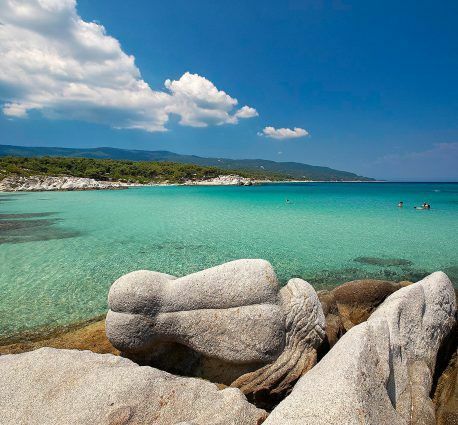 Halkidiki is a very beautiful peninsula, with one of the best and most beautiful beaches in entire country, famous for their crystal-clear water and clean white sand. 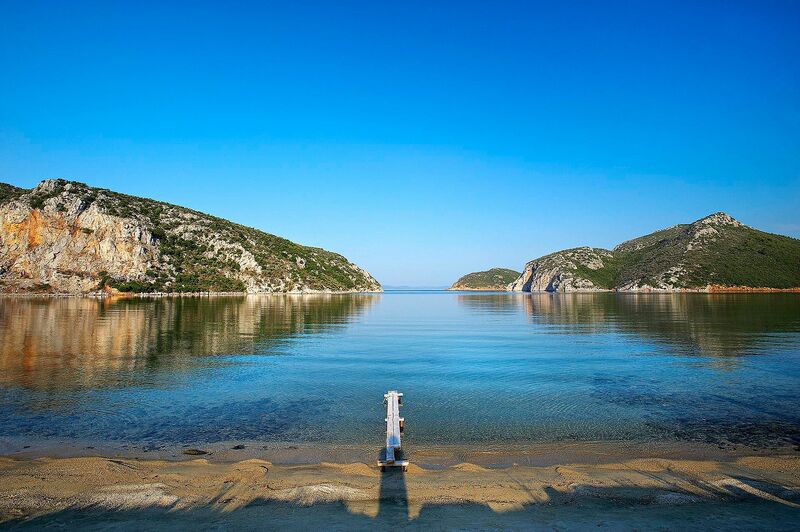 It is a small heaven with mesmerizing bays and gulfs, rocky capes, olive trees and pine woods, all of which contribute to this amazing scenery. 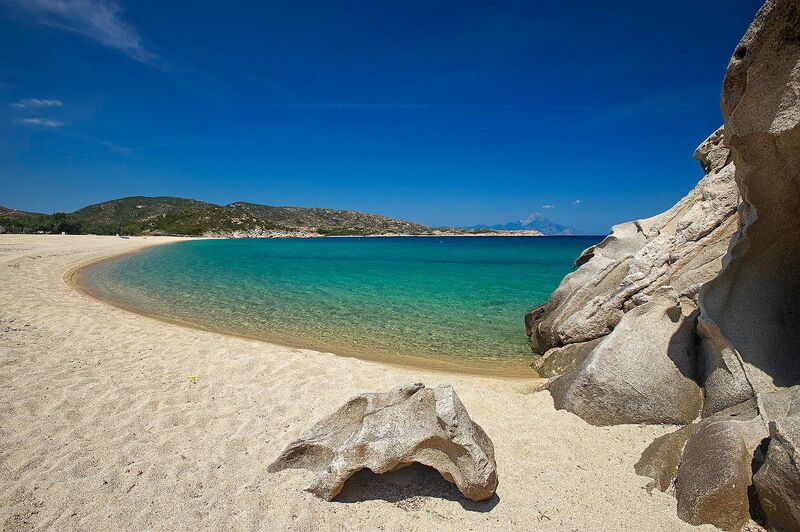 There are 41 beaches which are awarded the EU blue flag for overall cleanliness and good general facilities. The majority of population works in tourism and agriculture branches. Main agricultural and export products are honey, olives and olive oil. 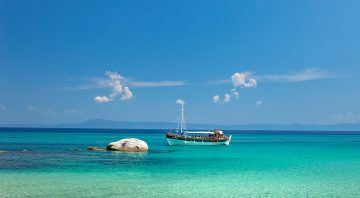 Halkidiki is ranked first in honey production in Greece, whereas as a tourist destination is ranked fourth, right after Rhodes, Crete and Corfu. 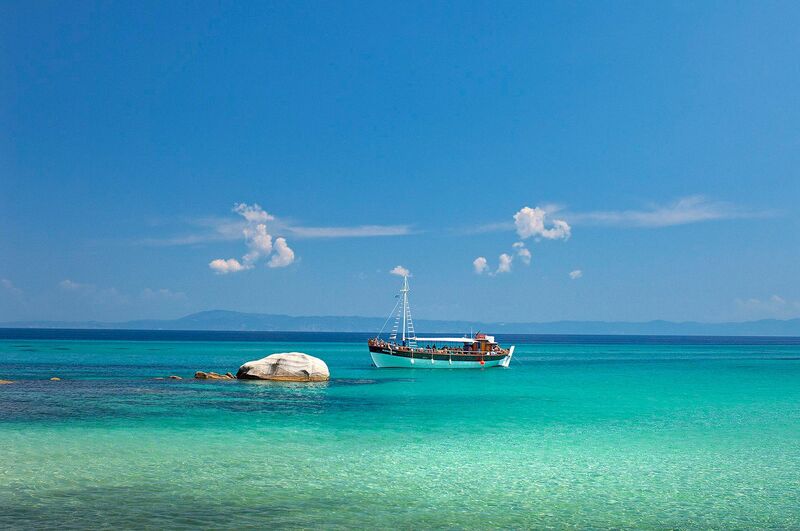 Halkidiki is a great choice for a relaxing vacation. This is the place where all your senses will come alive, be it because of the modern beaches with wide expanses of sand or the intimacy of numerous hidden bays. Sunny golden beaches, deep and picturesque sunsets, traditional villages and modern tourist resorts, rich history, cultural heritage and friendly people, mediterranean climate and magnificent nature – all this depicts Halkidiki of today. We are here to help you find perfect location and accommodation for your vacatin. 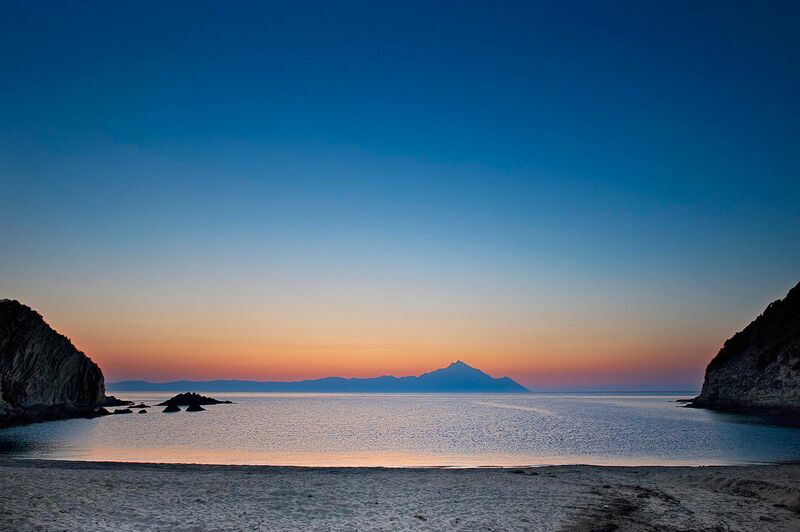 We offer you all informations about Halkidiki so you could book your accommodation under the best terms. Our goal is to directly connect travelers with the accommodation owners without additional expenses. 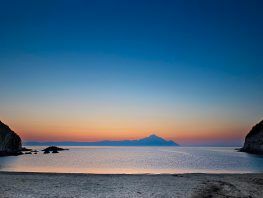 By signing up on our Newsletter you'll always be in touch with the best offers for accommodation on Halkidiki.